If you dislike, loathe, or hate (those are synonyms, I know) peant butter... LOOK AWAY! If you like, love, adore peanut butter... YOU'D BETTER STAY! 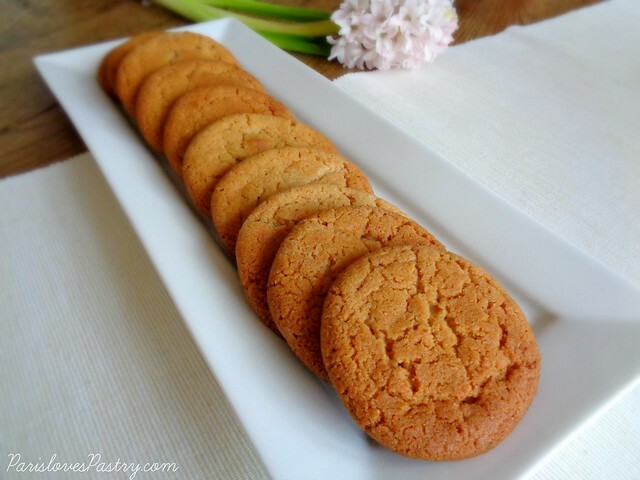 Because I just made one of the BEST peanut butter cookies-recipes, I've ever tried. Seriously, I made a large batch of cookies, and ended up eating not very many because I was (forced) to give them away to people. It's not a bad thing if you're my friend. I'll admit: I bribe with cookies. I found the recipe on, my go-to recipe spot lately, Pinterest! The caption described them as "The BEST peanut butter cookies! Couldn't STOP eating them!" Okay, I'm intrigued. So I made them, and man, they are FULL of creamy peanut butter flavor. I mean PACKED with peanut butter! Being a peanut butter-lover, I did not mind this one bit. · Preheat oven to 350 degrees and spray cookie sheets with a non-stick spray. · Cream together the sugars, shortening, butter, and peanut butter. · Add the eggs and vanilla, mix until well combined. · Mix the dry ingredients together, add the dry ingredients to the cream mixture. · Roll the cookie dough into tablespoon size balls. · Roll the cookie balls into sugar. 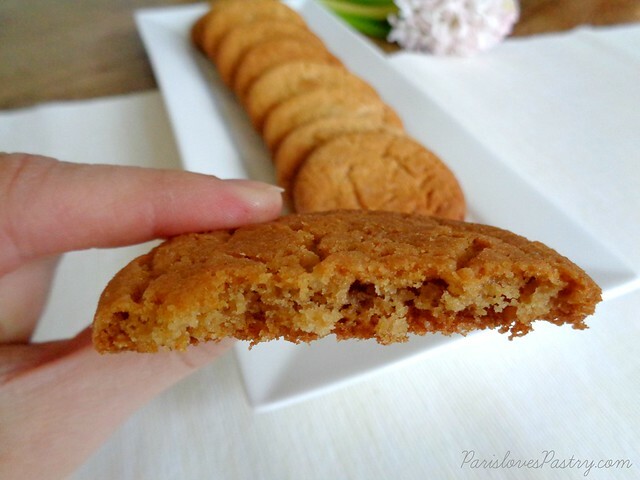 · Place on the cookie sheets- DO NOT mash with a fork in normal “peanut butter cookie” fashion. I'm always wary of "best ever" recipes, as they usually disappoint. But these were surprisingly good. Thanks for posting. I baked 35g balls at 180C/160C Fan for 11 minutes, resulting in crunchy edges and a chewy middle. Also threw in roughly chopped peanuts for added interest. I don't bother with the vanilla; US recipes just chuck it in indiscriminately and unnecessarily. I made these over the weekend and they are delicious! I used all butter (no shortening) but otherwise, sticked to the recipe. They were great and my friends all enjoyed them, and many asked for seconds! Thank you for sharing!